Modern parking ultrasonic supervisory system. 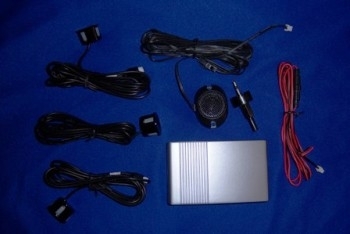 5 sensors and voice control box. Counts down distance till contact w/ another object. Both verbal and/or audio warnings. Perfect everyday or car shows.